The Fragrant House! Feature: Going to the Downy Ball! Yes, Easter is the next "pink carpet" to roll out. To get a copy of one of my first simple works, How to Naturally Color Easter Eggs, click here for the PDF. It is an oldie, but goody. Bath Oil Beads As I was researching bath ideas for the new Self Apothecary, I came across a recipe for bath oil beads. I found that very intriguing, who does not like those expensive little beads? I love them but can rarely afford them. The recipe I found called for the use of flour and such to form a ball. Well, I thought, that would be a tub mess. Then it dawned on me to take clear gel empty caps that can be found at the local natural food store and drop oil formulas into them to make my own beads. No one has ever proposed this before, and it was a real long shot, but it worked out great. The oil did not disintegrate the capsule at all. It melted well in the tub. The key was not to allow any oil to drip down the side of the cap when filling them and to push each one together until you hear a "click" to ensure it is tight. I also put bath bomb dry ingredients in the caps and made little pastel looking "torpedoes." They also did well, melting a fizzing within a few minutes in the tub. This would be a great 20 minute family project and so I came up with bath oil variations to soak with. I was able to use bright colors, but the colors must be oil soluble. The one hypothesis that did not work out was to put soap or bubble bath in them. Now that did make the gel cap break down altogether. I was aiming for a confetti mix to give to people, oil, torpedo and bubble bath beads all mixed together. 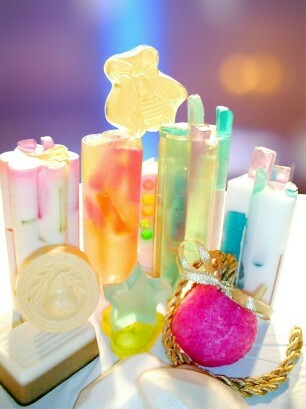 When making bath oil beads, try to use them within a 30 day period. The capsules will start to break down after that. I found great bath salt tubes to package them in, also offering the packaging in our newly revamped supply store. If you would like to use this idea on the net, I ask that you give Mabel credit and let me know if you see someone using my work and not giving the proper credit. 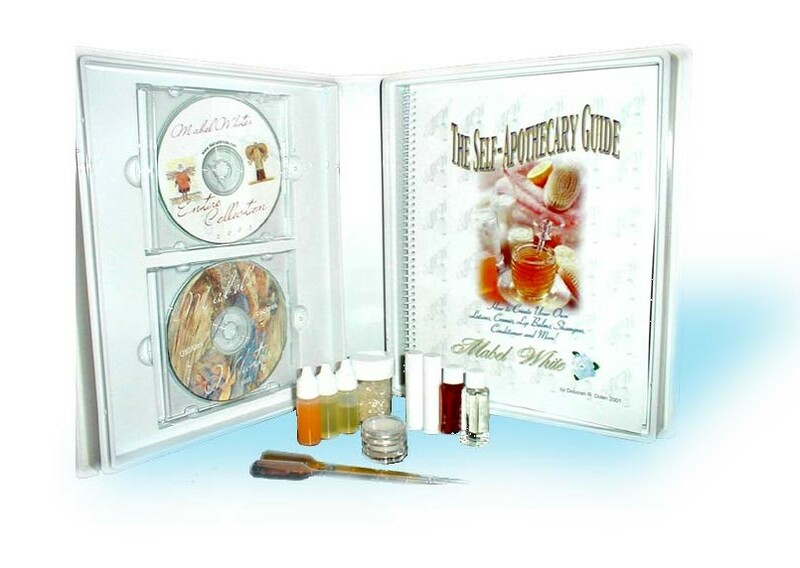 I know this will be very popular and this technique has been copy write protected in my new book The Self Apothecary. As I said, I do not mind use, as long as credit to Mabel White Dot Com is mentioned. Bath Oil Vials The next novel idea was to truly save fragrance oil by making pre-made pipettes that absorbed 1/10 of an ounce, MORE than enough for one bath. I now keep my favorite bath oil pipette mixtures by the bath in a "Tepee" look. That way of packaging is what you see to the right of this page. I simply took 20 pipettes in my hand and they automatically fell into a tepee after placing ribbon around the mid section of them. I sealed each pipette prior by simply dipping the end in paraffin that was not too hot. The user would simply snip the tip off when using a vial for their bath. This is another copy right idea for Mabel White Dot Com. New Subscribers Welcome Kit The new and present subscribers are getting a welcome kit. In it are two CD ROMs of all of my work, including many popular books I wrote and the new versions of them. Also included are basic items we like to play with and have laying around--which varies, but we try to cover all spectrums--like flavor oils, fragrance oils, lip balm and bath bomb starter supplies. Subscribers pay $2.95 a week via Pay Pal which handles it automatically. Click here for more information on being a subscriber or click the thumbnail to the right to see what the new kit looks like. Melt and Pour Soap Making, The Self Apothecary, and the Bathroom Chemist books will be getting all new covers to depict the newer techniques. 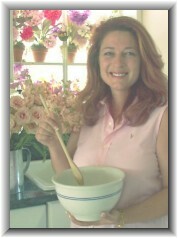 The photo to the left is the backdrop for my Melt and Pour Soap Recipes book. Click the thumbnail for closer detail to the soaps. This month we find we love "Red Clover" essential oil for our shampoo and soap bases. It has a very clean and refreshing scent. 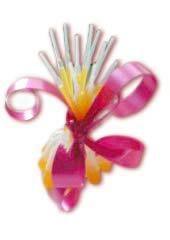 We also like "Cotton" for our candle scents which also provide a clean and refreshing aroma. Both are offered in our new craft center. Lip Balm Continued Do not suppose I ever moved on from my lip balm endeavors. I love making that stuff so much I even created lip balm lockets to go around my neck. I simply took a lip balm pot and used a glue gun to affix a jump ring. Then I choose a satin cord to let it hang around my neck. My daughters even enjoyed picking out fake gems to decorate theirs with, also using a glue gun to secure them to the pot. This weekend I made Tangerine lip balm, which came out a very beautiful pastel orange on its own, (tangerine essential oil) and Vanilla with a little warm honey. Mix the two together and you have creamsicle! I found you cannot use any water based colors, such as food dye or cake color, they just will not mix. As I remained one crafter, you can use old lipstick for tint. Just a tiny, tiny tad will do ya. Never put your pretty pots in the microwave when melting down to refill. They will crack. I place mine in a VERY warm spot like in the sun. For very cool lip balm supplies see Lip Balm Supplies Dot Com. I think it is really very funny that I am smiling in all these photos, but the truth is, I turned 40 yesterday and am confronting one of my biggest health challenges ever. It has always been acceptable to write about and talk about "diets" but not so fashionable to discuss possible results, such as colon trouble. I know everything in moderation, but I feel I have done the high protein diet enough to severely deprive myself of fiber over the years. I am writing this in case you are running the same path. Other general issues to be aware of: not drinking enough water, or walking enough. These last few months have been a real personal journey about thinking I know everything, more so about my health. Last summer I appeared bloated and ran right to water pills which I never use. The pharmacist even commented bloating can mean more serious things and he did not like the pills at all. He would recommend no over the counter water pills. Well, I bought them anyway but lost no water. I wondered why not. If I only knew that he was right, bloating can be signs of something more serious, and that dehydrating myself further was an awful idea. But if you have never been truly sick, you can think you are invincible. By Thanksgiving I looked pregnant. That generated a doctors visit real fast and he suspected ovarian issues and began treatment for that. It was not until I landed in the hospital before Christmas that I saw all that high protein life style did have a profound effect on my body as I am sure it does other people like me. Some things you can never fix. So, I re-thought the CarbMaster book I wrote. I wanted to take it off the shelves. I decided since some people are bent on being thin, and will buy such a book anyway, I will offer both views in the book on the subject. There are times you must admit you are wrong and I would say this was one, at least wrong to myself. I think a high protein diet is OK a few times in younger years when a person is in good health, but not as a constant lifestyle. When I heard the word "fiber" I really had to read up on it. It was a new one on me. After a careful review of what I usually do eat, it is quite understandable I sure earned the status. I rarely eat fast food, but this is not about a junk diet. I ate tuna and many foods considered elite. In the fiber research I learned a bowl of All Bran in the AM is great, usually gives half the daily allowance of fiber, and too much fiber, over 30 g a day is not good. Opting for whole wheat instead of white is also a very important move. Yogurt smoothies are just the best and believe it or not are very high in fiber and good for your digestion. Chai is still great and kidney beans really take the ribbon on fiber, and Chili at Wendy's seems to offer the only fast food fiber if you are on the run. The Soup and Bread Diet comes from two worlds. The old Hunan Bread, (high fiber) diet that fills you up and the old hippie Miso soup diet. I really had to turn to Miso soup when having to eat liquids. I like it, it takes like beef broth, but as I said everything in moderation. If you would like the two page PDF file on the bread and soup diet please e-mail me at mabelco@tampabay.rr.com . Going to the Downy Ball! Here is a gadget I finally succumbed too! I passed this in the grocery store on more than one occasion and said to myself..."No, you do not always need a reason to spend." Well, finally curiosity got the best of me and I bought the $3 or so ball. It is now part of my "very cool" repertoire! Coolness level? 10. To start with, it saves money in the fact you are not dumping expensive fabric softener at random. Each time you use it, you are using a very controlled amount, I estimate 2 ounces of fabric softener. Great guide for kids. I am sure it beats the 1/2 of the bottle I used to dump. (There is a law of diminishing returns--the more you dump does not mean always the more fragrant.) Better yet, I add 1/10 an ounce of fresh cut grass fragrance oil to it, and BOY do you have clothes that smell like they were air dried on a clothes line while a lawn mower went by and nailed the clothes! I learned some time ago soap and many fabric softeners are made of OIL. Yes, Oil. I also like this ball because you do not need a fabric softener well on your washing machine, and if you do have one, it will never become dirty or full of gunk. So, less cleaning over all. Thank you Downy! So, I really like the Downy Blue Ball. For a great article on soft sheets, please read below. For more on How to Aromo Your Entire Home, click here. Since sleep is 30% of your life, this article is very important. Twelve years ago my Mother in Law gave me three sets of bed sheets and they are the only sheets I have used since. At the time she gave them to me, they were already four years old and I guess she felt she was ready for new ones. Used or not, I always found them so soft and comfortable, I could not understand why they were better than the sheets I had back then. Most importantly, they never developed little balls even the modern high count sheets seem to be prone too. Now I am ready to buy new sets, and I began a hunt for what material she bought in the first place. I felt any label on her sets would be long gone, so I did not bother looking. I asked many people and they could not even understand what I was getting at. I bought a set of the expensive 400 count cotton, and noticed they sure do need to be ironed and they were not it. Finally, in disgust, I found a very worn label on the old sets and they said "Springmaid No Iron" 50% Cotton 50% Poly Percale Sheet. Boy did I get the answer! Poly or not, they felt like soft pure cotton, and still are very soft after some 16 years! I am sure they were not 400 count, maybe 200. I did some web searches and I see Springmaid is a very old line. I do see a few companies with this No Iron Percale mix and I will make sure I invest in them as I need sheets. But in case you did not even know what you are missing, now you do! 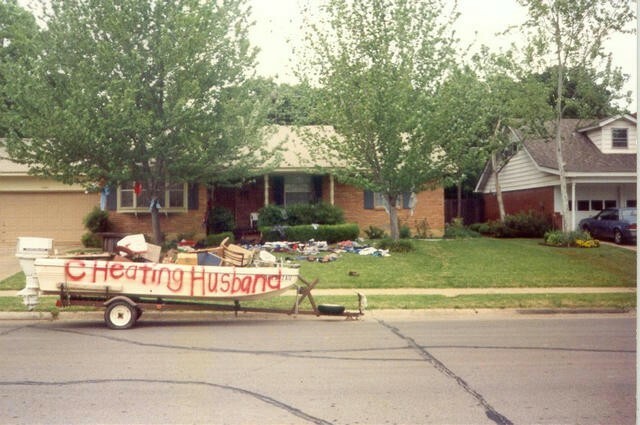 I would consider that a very true and long lasting wedding gift. I read where an expensive hotel spritzes their guest towels with peppermint, as you would use a room spray. This seems like a very cool idea and another way to get the feeling of royal treatment in your own home. How to Aromo Your Entire Home! Since we figured out almost all soap has oil, we also learned using fragrance oils and essential oils around the home can remarkably increase ambiance without costing much more than a few quality cleaning products. I figure you need at least ten ounces of fragrance oil at minimum a month and thirty ounces total if you want to cover the main living and kitchen areas. Feel welcome to visit our new fragrance center and receive a free oil warmer and two 8 ounce sprtizer bottles for any orders totaling over 32 ounces. Click here to select oils. Beyond the applications listed below, I even use residue oil to wipe a counter or toilet seat down. It makes the house smell just great. Some essential oils, such as tangerine, can also be used as a lip balm flavoring and does emit a soft pastel orange color at the same time! I like to use a potpourris or fragrance oil burner in the main rooms. These are also known as candle "tart" burners and fueled by a tea light. As much as I love making candles, I do get tight on time. I refer below to using a burner in the main rooms. Electric burners are available for nursing homes and college dorms that do not allow candles. I did a study, however, and a 26 ounce soy candle in the kitchen or living room (with 2 ounce of fragrance oil) does throw as well and does last twice as long than just throwing 2 ounces of straight oil in a burner. This is because the candle has fragrance binders and the law of diminishing returns. Meaning, the straight oil throws much more fragrance than the nose recepts and exhausts itself too fast. But I am into straight oil for now. My neighbors can smell it a mile away! As much as I love tart burners, and Downy, it is not advisable to put Downy in an oil burner. I tried it as as an experiment, an economical alternative to fragrance oil. The house smelled awesome, but the Downy caused a small lava looking explosion after being heated to long! It burped and burped until it let loose. This is one reason why we should stick to the use as described on the label! Below are great ways to get fragrance oil or essential oil into your life! First, see home made Febreeze (1 Part Downy to 3 parts Water) for general carpet areas, 6 ounces baking soda with 1/10 fragrance oil as vacuum up carpet freshener. Spritzer Bottle. Trace fragrance. Laundry Room: 1/10 of an ounce Cut Grass or Cotton in Fabric Softener for clean scent. You can also spritz a hand towel and throw it in the dryer for a self made "bounce." 3 ounces a month total. Bathrooms: 1/10 of an ounce Vanilla or Lavender in bath. 1/10 ounce of Red Clover or Rosemary essential oil in all shampoos and conditioners. 6 ounces a month total. Bedroom: 1/10 of an ounce with water in 8 oz spritzer. Shake well. You may want to add 1/10 an ounce Rose essential oil to your basic cold cream's etcetera. 1 ounce a month total. Kitchen: 1 ounce of fragrance oil every two days or candle. McIntosh Apple or Cotton for a clean smell. 15 ounces total. Living Room: 1 ounce of fragrance oil every two days or candle. McIntosh Apple or Cotton for a clean smell. 15 ounces total. I also use orange oil or Tangerine over some wood, some surfaces and to remove any wax residue. I am the queen of spilling things on my clothes. They last about a month with me. Whether it is an oil slick, coffee stain or spaghetti spot, I manage to do it right. Last month I really nailed so many new sleep shirts I got just this last Christmas, I spent one day painting flowers and designs over the stains with fabric paint. I used stencils of stars and flowers and vines to go down the shirt and make the design look deliberate. They came out great and I am no hand artist. In do this, I saved about 5 good shirts from the trash bin.